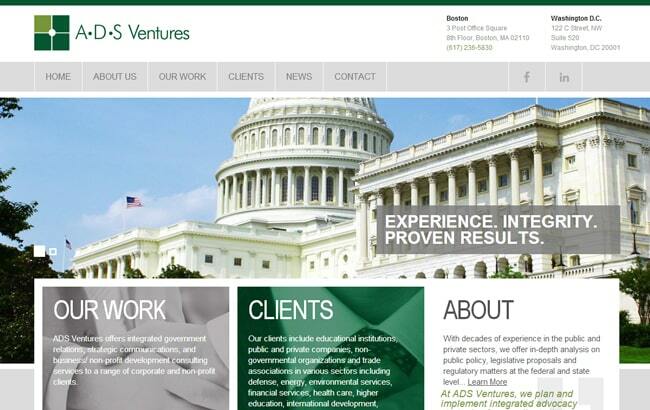 ADS Ventures plans and implements integrated advocacy strategies for their clients that ensure long-term success. 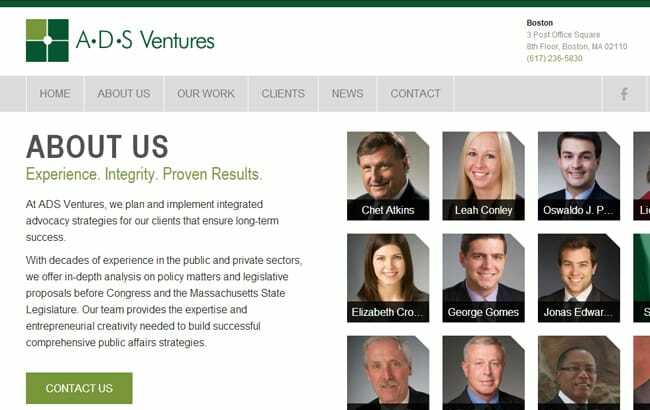 With decades of experience in the public and private sectors, they offer in-depth analysis on public policy, legislative proposals and regulatory matters at the federal and state level. 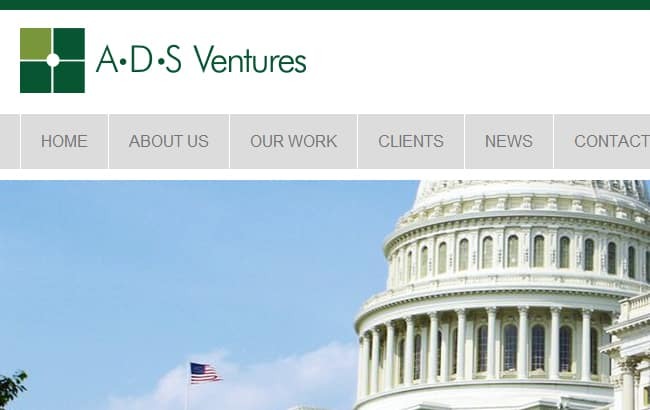 ADS Ventures connected with GoingClear Interactive to take the lead on their entire website redesign from a complete new look and feel to their new back-end CMS (Content Management System) that allows them to manage their new site. 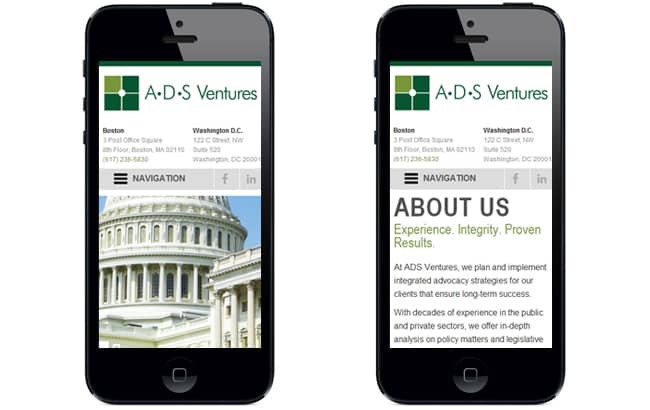 In addition, it was also important to ADS Ventures to have a fully Responsive / mobile friendly website so that their website users were able to view. The new website has addressed all of these concerns, and now employees and customers alike are presented with the same quality of content no matter where they are.┬áBy working closely with ADS Ventures, GoingClear was able to provide a fully responsive website with a contemporary makeover that reflects the organizations sophistication and style.